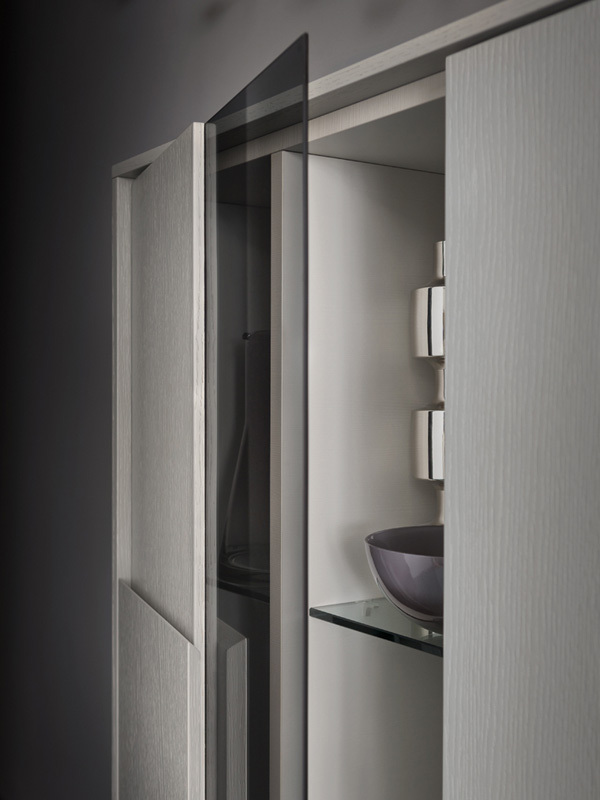 Amelia is a modern cabinet with a metal plinth base, featuring two regular hinged doors and one semi-transparent gray glass/wood door. Inside are six glass shelves. 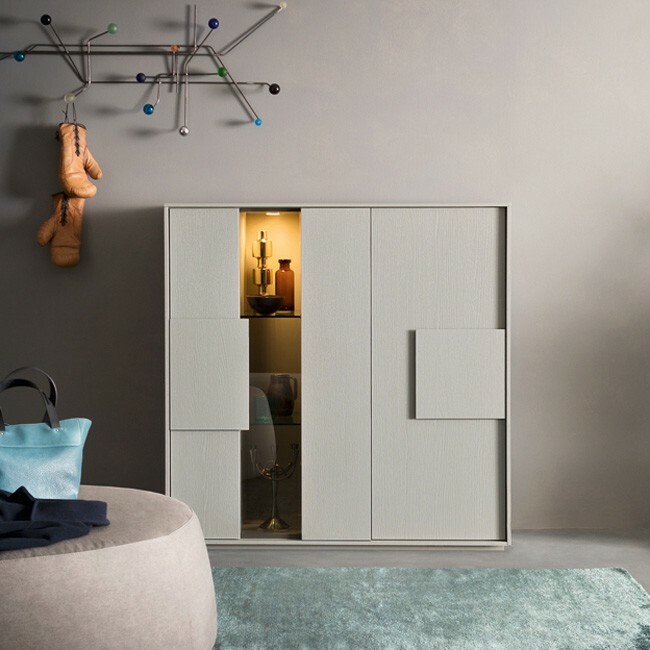 The doors and main body are available in matt colors (painted with/without the wood grain visible), fashion oak (wood stains) or heat treated oak. The interior fnish is dove gray as standard, other colors and interior lighting available on request.